Spot the difference: is your Griffin Survivor case a counterfeit? Recently I had the misfortune of buying a Griffin Survivor case for an iPad mini that turned out to be a counterfeit product. The purchase was made from the Amazon UK marketplace, which is not normally known for particularly dodgy sellers, and the seller had a feedback rating in excess of 95%, which is normally a reasonable sign of trustworthiness. It’s entirely possible the seller themselves didn’t know they’d been had by their supplier, but I was suspicious from the moment I received the product. Griffin themselves have blogged about this as their premium products are an ongoing target for counterfeiting. However, not all of their advice is useful: they suggest anyone with a big price difference from their own store is selling fakes, but I eventually got my hands on a real one (from Amazon proper, who were out of stock when I originally purchased) for less than half the price Griffin list on their UK store. Now that I have the genuine item, here’s a quick spot the difference so you an get a better idea of whether yours is dodgy or not. This is the TTS Tuff-Cam 2. It takes rubbish photos and is seriously overpriced, but many Nursery and Reception teachers have an aversion to giving 3-4 year olds a cheap Canon camera that they are normally perfectly capable of using, so insist on these “child-friendly” monstrosities instead. Don’t buy one of these. Camera won’t turn on at all. Power LED appears to be stuck half-on. Windows displays “USB Device Not Recognized” when camera is plugged in. Other USB devices, such as the mouse, stop working completely a few seconds after the camera is plugged in, and start working again as soon as you unplug the camera (my personal favourite). The camera will reset and probably start working again. At least, until the next full moon, or a butterfly flaps its wings near it, or something. Any package of more than 8 cage nuts will include at least one that has no threading. 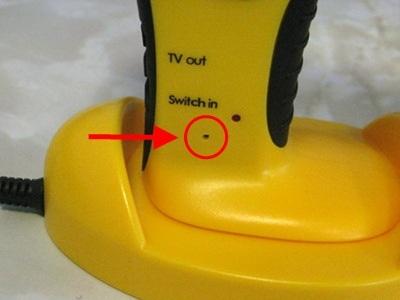 (and you won’t notice until you’re trying to put the final screw into the switch you’ve just racked up). Now, I am become Death, the destroyer of… Printers? Two weeks ago, the oldest laser printer in the school, a 12-year-old Color LaserJet 4500, finally packed up with loud grinding noises. Its final death throes included constant jams from tray 2, tray 1 feeding up to 50 sheets of paper at a time, and the drum drawer being completely jammed shut for 2 months. Suffice to say, its time had come. Since it was in a light-use location, I decided to swap in one of my Kyocera FS-C5100DN printers from elsewhere in the school, and replace that printer with the newer model FS-C5150DN. I’d bought one a few months earlier and been quite happy with it, so it seemed like a decent choice given my long-standing hatred of HP and more recent hatred of Xerox. Today, due to a frankly ridiculous series of catastrophes, I have two different couriers picking up two different boxes for two different destinations. The boxes look identical to one another, and contain almost identical cargo. What odds can I get that they will take the wrong ones? Portable Appliance Testing (commonly known as PAT testing) is often spoken of with disdain in schools, cast aside as bureaucratic red-tape and disregarded along with countless other health & safety provisions. Teachers are particularly given to ignore it when they decide to bring in their own equipment from home, happily hooking it up to the mains without caring that it hasn’t been safety tested, because “they need it”, that all-powerful of reasons that many believe allows them to bypass any and all rules & laws (notably including copyright and data protection). Last time these power supplies (all from old model RM Classboards) were checked, they passed. Now, time has rendered the plastic so brittle that all I had to do was grasp them and they literally fell apart in my hands. If they were plugged into a live socket, touching the now exposed innards would most likely give you a 230V electric shock. “Ah, but AT,” I hear you protest, “I am not such a dumbass that I wouldn’t notice something in such poor condition. I would never allow such shoddiness is MY classroom!” Well, none of the class teachers in which these power supplies resided had noticed, despite them being in prominent positions in easy reach of pupils. The main reason is that most of them looked fine, until you either looked closely or handled them. What’s more, experience has taught me that even an obvious fault cannot preclude a potentially fatal incident. Remember just now when I said that touching the insides would likely give you a 230V shock? I know that because two years ago, a teacher did just that with a similarly-damaged speaker PSU, despite admitting afterwards that she could clearly see that the live parts were exposed. Luckily she was not seriously injured, but the effects could have been more severe for a small child. 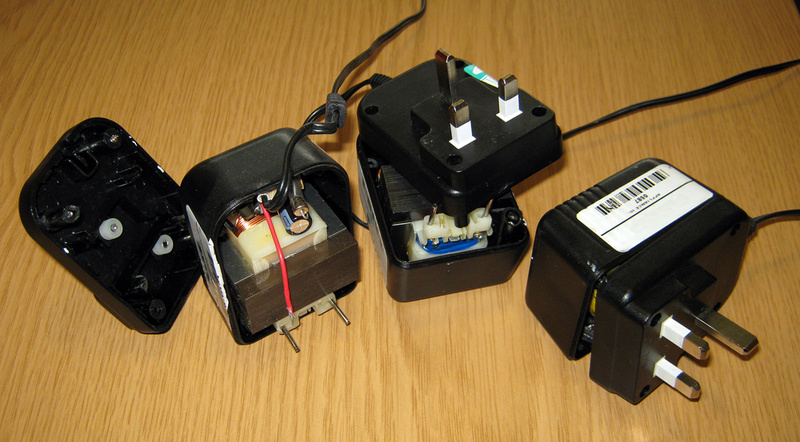 Hopefully this illustrates that PAT testing is not simply an exercise in box ticking. Failure to do it, and re-do it regularly, can put both staff and pupils at serious risk of harm. If it’s you that’s responsible for it, get it done. If it’s someone else, savagely beat them until they do it.